Prepare pasta according to package directions. Drain and rinse in cold water. Place in a large sized bowl. 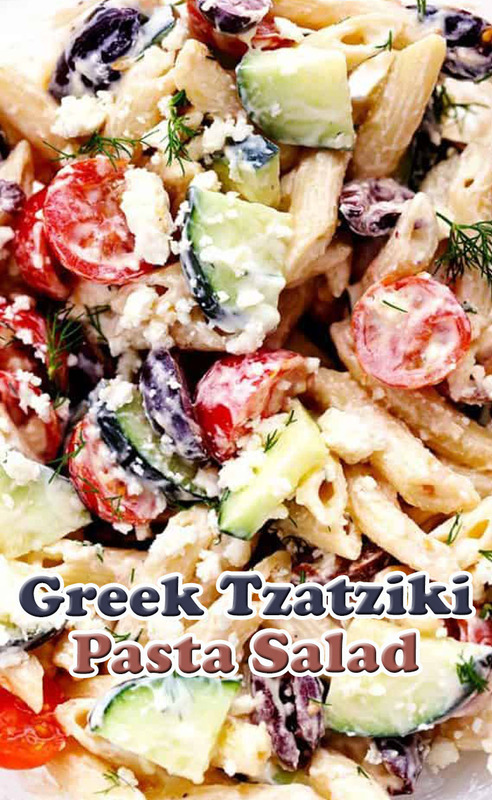 Add kalamata olives, cucumbers, tomatoes, and feta cheese. In a small bowl whisk the greek yogurt, olive oil, chopped dill, lemon juice, salt, pepper, and garlic. Add to the large bowl and toss all ingredients together. Chill for one hour before serving.